One of our special interests is treating injuries that are encountered whilst participating in sports. Accidents tend to happen during such physical activities, and often these can result in serious trauma. Our goal is to optimize your healing potential to get you on the road to recovery as quickly as possible. We use a herb called moxa, which is applied to the body with a function similar to “ICE” treatments. It removes inflammation and fluid from the tissues. It promotes the healing process and quickens the recovery time. Tennis Elbow: Research shows that 86% of patients had a resolution to this problem after treatment with acupuncture. Strained Back and Pulled Muscles: Studies have shown that acupuncture can reduce pain by 50% or more. Frozen Shoulder: The pain of a frozen shoulder can be described as a tiger’s bite. It can be debilitating and take many months of exercise to see improvement. I have assisted many patients to improve their range of movement and they have been able to recover completely. 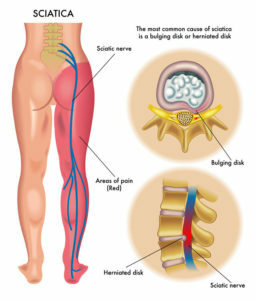 Sciatica: The muscles of the gluteus maximus may clamp up causing discomfort and a sensation down the legs. Acupuncture assists to release the muscles surrounding the nerve. Many patients can’t thank me enough when that pain is released for them through acupuncture. RSI: I have treated many guitar players, musicians and office workers with RSI and they have been able to work with their arms again without pain. Best of all it’s drug free!